Affiliate marketing is one of the most lucrative business models for many bloggers and marketers. For many who run websites, their biggest streams of revenue are affiliate products. As an example, a site-owner who endorses various hosting services has affiliate links throughout his sales copy. And more than half his sales would be through his customers purchasing various products. Affiliate marketing is such a simple concept and requires no work on the part of the site owner other than to promote the products of the vendor. But when it comes to making massive sales, you need to find a place with proven products and which offer a hefty commission. 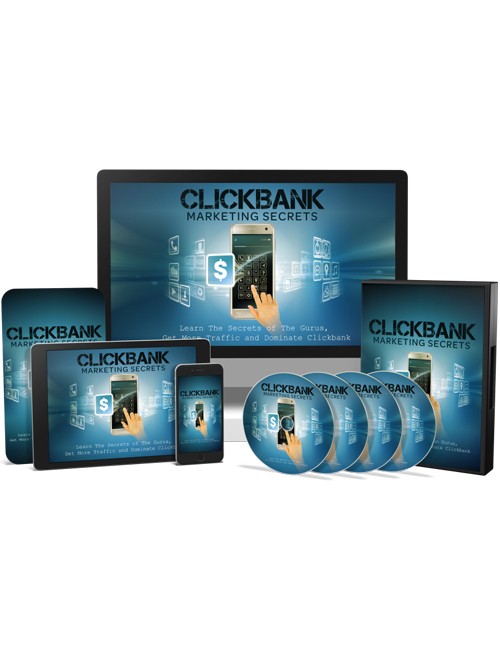 Clickbank is by far the best of all because of it’s massive selection of great products across numerous different niches. In this video course which complements the Clickbank Marketing Secrets ebook, you will be shown the entire process in finding high quality niches, finding the best products to promote to your audience, building value and trust, duplicating the methods of the very best marketers out there and much much more. There’s a ton of content here for you to digest and when you’re done, you’ll be ready to go full throttle with your business. Affiliate marketing is the past, the present and the future and it’s definitely worth your time and effort. Get the course now.